Pablo Escobar's wife Maria Victoria Henao's Net Worth: How's Her & Her Children's Life At Present? Maria Victoria Henao is the wife of the famous drug dealer Pablo Escobar. Pablo was also known as The King of Cocaine. The Colombian drug lord and narcoterrorist Pablo got married to his wife Maria, when she was just 15, in March 1976. He also welcomed two children, a son and a daughter with her. 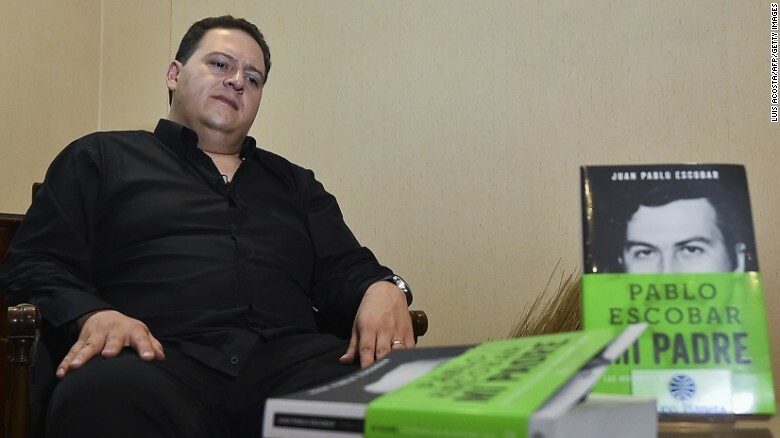 Pablo started his crime-business with street theft and kidnapping, and later in the 1980s got indulged in cocaine dealing becoming one of the wealthiest people in the world. Despite Pablo's criminal activities, Maria fully supported him. Along with being a wife, she was also his business advisor. 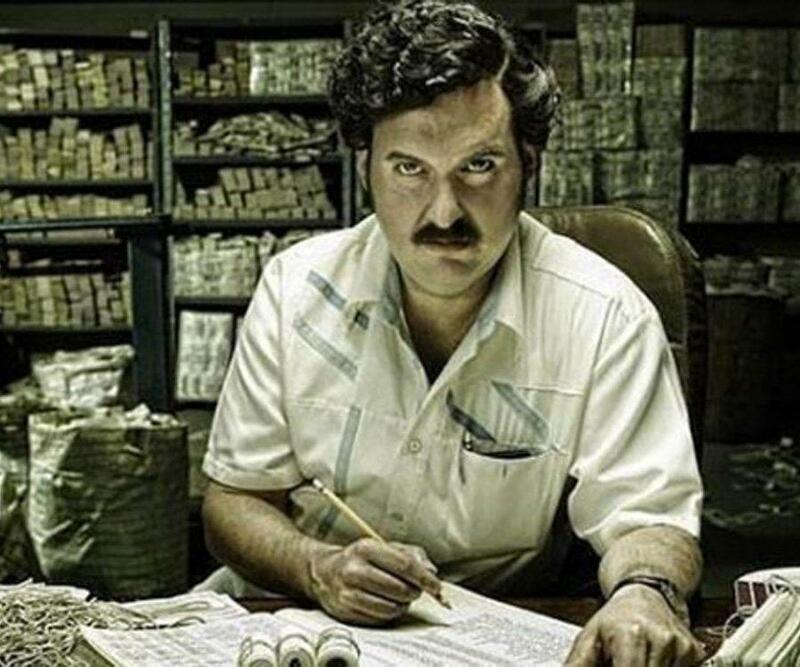 The couple during the height of Pablo Escobar's smuggling business had a joint net worth of $30 billion. However, the property and income figure changed completely after the death of Pablo on December 2, 1993., He was reportedly shot to death. So, how much is the current net worth of Maria Victoria? Let's know the details of the incomes, property, and net worth of Maria Victoria. Pablo's evil deeds brought problems and disasters as a bonus in his life. The same thing happened with the vast property earned by Pablo with his drug dealings. Maria completely depended on the income of her husband which was $21.9 billion a year. However, the whole scenario was deserted after Pablo's death, leaving the family broken. Soon after his death, the property of Pablo and his money was seized by the Columbian government. And at present, the details of Pablo's wife's net worth is unexposed as she has been low profile in the media. But, we do have information on how wealthy Maria and Pablo were at some point in their life. In the early 1970s, before taking his hands on drug mafia, Pablo Escobar acted as a thief and bodyguard, allegedly earning around the US $100,000 by kidnapping and holding a Medellín executive for ransom. By the time, Pablo was 22; he made COL $1 million after he started working for Alvaro Prieto as a contraband smuggler. When he turned 26, he was noted to have a bank balance of COL $100 million which is equivalent to USD 3 million. It didn't satisfy him, and he tested his fortune in the cocaine dealing in the beginning 1975. In 1975, Pablo started developing his cocaine operation, flying out planes several times, mainly between Colombia and Panama along the smuggling routes into the United States. He had fifteen bigger airplanes, including six helicopters and a Learjet worth $20.8 million. But Escobar and several of his men were arrested and found in possession of 18 kg of white paste attempting to return to Medellín with a heavy load from Ecuador in 1976. However, it didn't stop him. Pablo eventually smuggled the cocaine worth $500,000 per flight. Soon, Pablo's drug business rose to new heights after he and Carlos Lehder worked together to develop a new trans-shipment point in the Bahamas, an island called Norman's Cay, to sell the drugs in the US. It is estimated that 70 to 80 tons of cocaine was shipped from Colombia to the United States every month. In the mid-1980s, Pablo gained recognization internationally for his drug network. With the increase in power and network, the cocaine king took the 80% stake in cocaine smuggling in the US. His drug cartel (Medellin Cartel) supplied 15 tons cocaines per day earning him $70 million per day and around $26 billion a year. Have a look at his International drug route. Pablo seemed to be fond of luxury as he invested a lot of his money in buying properties. Scroll down to know more. Also read: McDonald's And Charity Likened To Pablo Escobar Drug Cartel. With the income flooding from his drug business, Pablo bought numerous residences and safe houses including his luxurious estate, Hacienda Nápoles. The luxury house contained a colonial house, a sculpture park, and a complete zoo with animals featuring elephants, exotic birds, giraffes, and hippopotamuses. Have a look at the Jurassic themed mansion. 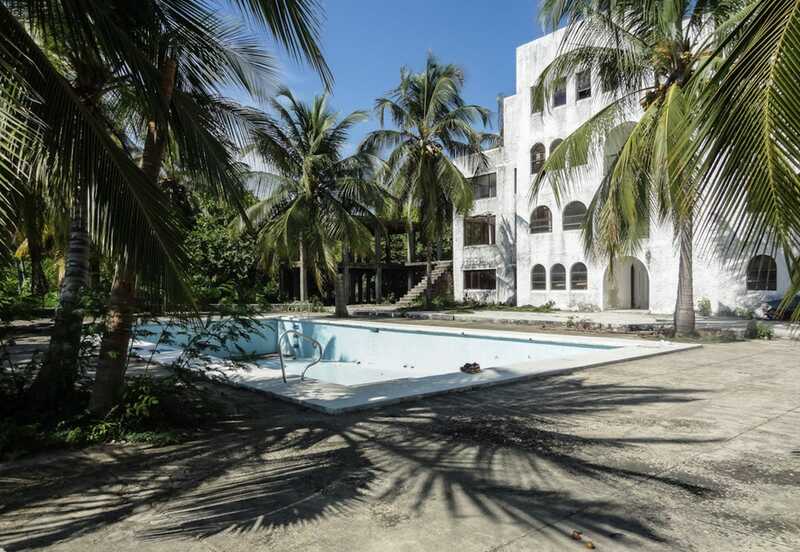 However, after Pablo's death, the ownership of the property was transferred to the Columbian government, and as reported, its value was $2.23 million. Well, it's not only the house, but he also owned a 6500 square foot, pink, waterfront mansion in Miami Beach, Florida. In 1987, US marshalls seized his four-bedroom estate built in 1948. Later, it was renovated and was bought by the proprietor of the Chicken Kitchen fast-food chain, Christian de Berdouare in 2014. The house was then set to sell for $9.6 million. However, the sales price is not disclosed yet. Escobar also owned a massive Caribbean getaway on Isla Grande, which is now overhauled by vegetation and wild animals. Let's take a look at the property featuring a mansion, apartments, courtyards, a large swimming pool, a helicopter landing pad, reinforced windows and tiled floors. But, nothing got in the hand of Pablo's wife Maria after the Columbian government seized all the assets following Pablo's death. She fled from Columbia. Also read: Drug Lord Pablo Escobar's married life, career, and children. After Pablo Escobar died in 1993, Maria Victoria fled from Columbia to many different countries as a refugee along with her children, but couldn't sustain long. To keep herself and her children away from police, Maria, the mother of her daughter Manuela, changed her name to Maria Isabel Santos Caballero and her son Juan Pablo changed his name to Sebastian Marroquin while living in Argentina. However, the police later found out the truth, and they were exiled. Currently, Maria lives a low-profile life in a Buenos Aires apartment with her two children. Her son Juan aka Sebastian is an architect, designer, lecturer, and author who wrote Pablo Escobar: My Father. Well, nothing much is known about Pablo's daughter Manuela except that she changed her name to Juana Manuela Marroquín Santos. 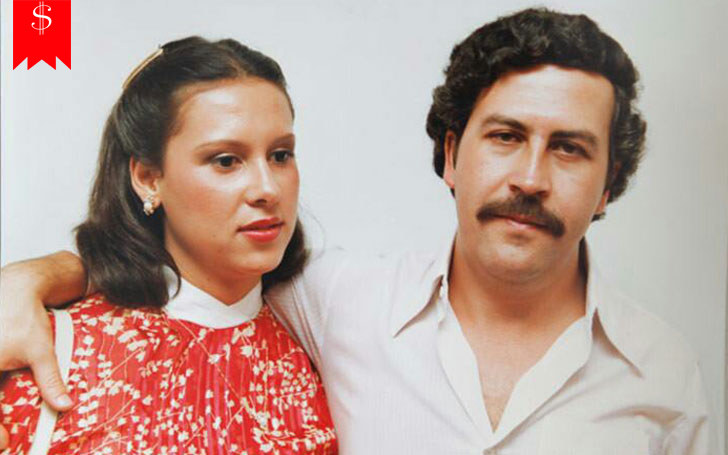 Also read: Pablo Escobar's daughter Manuela Escobar, her dating history and affairs. The family is currently compelled to live a suffocated life. However, we wish them happy life ahead. In the Forbes list of international billionaires for seven years straight, from 1987 until 1993, Pablo was named as the seventh-richest man in the world in 1989. Pablo's Medellín cartel spent an estimated $2,500 a month on rubber bands needed to hold stacks of bills together.